In my previous column, I described the first step to convert a HACCP plan into a preventive control food safety plan. Once you have addressed CGMPs and other key requisite programs (SSOPs, etc. ), you are ready to start creating and implementing the actual food safety plan. Associated records. 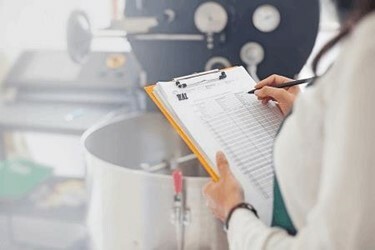 The actual written food safety plan is a record that is subject to the requirements of 21 CFR 117, Subpart F.
A facility can implement a food safety plant prepared by an employee, or employees of the facility, or a plan that was prepared for the facility by a qualified individual(s) (e.g., consultants). The plan must be prepared a Preventive Controls Qualified Individual (PCQI), or at least the preparation must be overseen by a PCQI. When creating food safety plans, a good starting point is product description. This component hasn’t changed substantially from what we’ve seen over the years in HACCP plans. Yet, this is the opportunity to update the product description. Updating the ingredient list within product description is a good way to start connecting ingredients with suppliers and then, with the parts of the supply chain program — a requirement for some facilities under 21 CFR 117, Subpart G. Some hidden allergens may be identified through this exercise, and then you can address them on the product description. This is also a great opportunity to review product labels and ensure all allergenic ingredients are disclosed. The flow chart may also need updating. Most inspectors and auditors are used to expecting a flow chart. A current flow chart is always the simplest, graphical way to start understanding the product flow, and the key processing steps, within a facility. But, if the flow chart is not well-developed and updated, a facility may be just fine by having a thorough process description.